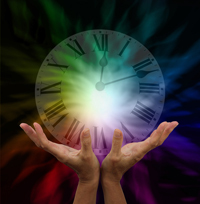 One of the many tools available to shamans is the manipulation of time. A shaman is skilled in being able to go forward or backwards in time to add to their research or for healing purposes. For example, a shaman my need to go back to a past life event to help someone understand what happened in that past life that is contributing to an issue the person is experiencing in this lifetime. You, too can start learning to manipulate time magically by experimenting with the "long moment". What is the Long Moment? 2. The perception is immediately routed by our flow of associations to a certain place in our memory: ie. - In this or a past life, we have memories of loud voices and anger. 3. The perception is assigned a meaning: ie. - The person is angry with us. These steps happen very quickly, less than a second usually and lead to a reaction of however each of us responds to an angry person. We don't take the time usually to consider that there may be other feelings involved and that we are assigning our own interpretation to another's actions. This leads often to overreactions at the moment and causes more problems. If you had a Cortothalamic Pause, you would not react out of your own memory, but rather be able to slow the event down, be totally present in the "now", and form a more appropriate response. Using the Cortothalamic Pause to slow yourself at the moment you receive an incoming piece of data allows you to stretch time. In this long moment you give yourself the power to evaluate the information you have received and give a true response. You may think this sounds difficult, but all it really takes to master this art is practice. Start out twice a day practicing this skill. When someone asks you a question or asks you to do something, stop everything inside yourself for 2 seconds. Stop all thought and consideration. Get quiet. Then respond to the person. For a while you won't actually be able to stop your internal thoughts, but you will be able to see all the mechanical reactions and thoughts that immediately spring up. You may be surprised at the massive and often chaotic activity that happens inside yourself. It will give you true insight into the way you interact with life. To learn more about flower essence remedies and other techniques for self-healing and self-exploration, see our ebook Energy Healing for Self and Others. When people first discover magic it can often be confusing in terms of which magical path is the right one for them and how to study magic. Many are often skeptical and want to know if there is really magic that works and what can it do for them. It's good to be skeptical and to do some exploring into different traditions to see which resonates with you. You're probably familiar with the saying that when the student is ready the teacher will appear. That is very true when it comes to how to study magic and finding magic that works for you. To help you decide if the type of magical studies we offer at the Esoteric School are right for you, we have a section on How To Study Magic as well as plenty of free resources to let you explore our magic that works. Here are a few suggestions on things to do when deciding how to study magic. Before we begin the actual hands-on study of magic, we believe it is important for people to understand what magic that works really is and what it can do for you. Magic is a precision science, the science of deliberate creation, a system of creation and study of intention. Every intentional act is an act of magic. Magic allows us to communicate with higher powers and beings and co-create with the Universe. It is also a path of spiritual growth. The practice of magic is governed under Universal Laws and a set of ethics that need to be adhered to for a safe and effective magical practice. We call these The Rules of the Road. When beginning on a magical path, students need to understand these rules and the implications they can have. We believe in starting the actual study of magic with learning the fundamentals of the 4 elements – Air, Fire, Water, and Earth. Everything in the Universe is made up of these 4 elements. The safest element to begin practice with is Air. The Air element corresponds to anything having to do with seeing, breathing, speaking, hearing, planning, thinking, believing, memorizing, communicating, learning, teaching, information, ideas, wisdom, understanding, worry, sensation, awareness, opinions, data, memory, mind. Once you learn the characteristics and correspondences that are associated with the Air Element and how to handle and flow this element, you can move on to the other elements. Once you have a good working knowledge of all of the elements you can then move on to learning how to study magic with the use of magical tools. The Air element tool is the Wand. We encourage students to make their own wands rather than buy one and you can see how to do that HERE. Magical tools associated with the other elements are the Fire tool – the athame, the Water tool – the chalice and the Earth tool – the plate or pentacle. Some of the other magical tools you may find useful include the pendulum, Tarot deck, the firebowl, the black mirror, candles, sun crystal and simulacra. Each of these can be used for various techniques such as healing, exploring other realms, divination, psychic communication, finding lost objects, gathering information and spellwork. Now that you have some information on what magic is and how to study magic, time to get started. 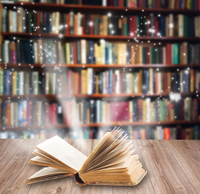 Take a look at our How To Study Magic section on our website and explore all our free resources to see what magical offerings peak your interest. Magic that works is your birthright as a planetary citizen, so exercise your right to a fulfilling magical life! Voodoo Dolls: How Do They Work? There is much that you can do with Voodoo magic, but what most people associate with it are voodoo dolls. Yes, voodoo dolls are real, not just something made up in fictional stories. The practice of Voodoo is much more than just using voodoo dolls. It also involves circle rituals, dancing, singing, drumming and ancestor worship, but since the use of voodoo dolls are the most familiar, let's start there and see how they work. A voodoo doll is simply a simulacrum. A simulacrum is an object that is the likeness of something. So the voodoo doll is a likeness of a person and is used to represent that person. Once a psychic connection is made between the voodoo doll and that person, whatever you do to the doll affects the person. This is useful when you want to perform a magical operation on someone who is far away from you. 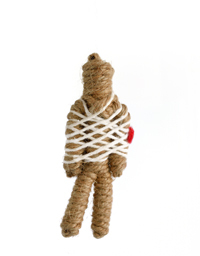 Making the psychic connection between the voodoo doll and the person is also called "keying" the doll. This is basically done by holding the voodoo doll in your dominant hand and flowing energy into it by thinking of all you know about the person. This is a simplified explanation of the process involved and more information is available in our How to Do Voodoo ebook if this is something you are interested in pursuing. This type of magic is also referred to as simulacra magic and the ebook goes into much more depth as to the uses and techniques of this fascinating branch of magical study. Once the voodoo doll is keyed, it is connected to the person. The Law of Similarity tells us that the greater a likeness of a simulacrum is the greater the psychic connection will be. For this reason many magical practitioners use actual photos of a person instead of a voodoo doll. Others get more creative and create a doll so that they have an entire body and use a picture face of the person in the doll. The more the voodoo doll resembles the person it is being keyed to, the greater the connection will be between the doll and the actual person. Now whatever magical operation you use on the doll will benefit the person it is keyed to. So for example, one of our advanced students recently took on a project of ridding a friend that lived 800 miles away from her of a long-time scar. Using the voodoo doll she created of her friend and keyed to the friend, she was able to use her athame with various beams of fire colors, sweeping and pulling methods to reduce the scar. That is just one example of the many, many magical things that can be done with a voodoo doll. Pretty much any magical operation that can be performed on a person can be performed on the voodoo doll instead with the results affecting the person keyed to the doll. Usually when voodoo dolls are portrayed in works of fiction, it is to harm someone else or bind them in some way such as falling in love with you. This is not the intended safe use of a voodoo doll however. Remember the Universal Laws that govern magical practice and only use the voodoo doll in ways that are in accordance with these rules. Using magical practice that goes against these rules can result in backlash for the practitioner and is not using safe magic. Used correctly, a voodoo doll is a great magical tool for healing, balancing energies, and helping others in a multitude of ways. Just make sure you are on the right side of the Rules of the Road and as with all magical procedures, think it through and enjoy the magic! 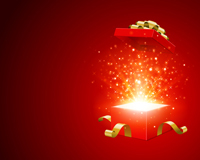 While the holidays have become quite commercial and frenzied in recent years, they still present wonderful opportunities to take time off and give yourself some true gifts. For most of the year, we are at the beck and call of others-work, family, and other obligations. REST: Most of us rush through the year from one obligation to another, never quite getting enough solid rest. If you've got a few days off, enjoy the luxury of sleeping in. When you fully rest, you give body and mind time to unwind. Physical and mental problems tend to disappear or resolve themselves. QUIET: In a world of cell phones, TV, and radio, a day of silence or quiet can be a true gift. Turn off the phone and don't invite in other stimuli such as TV. Sit, rest, take walks. Be quiet inside and out. Even half a day of quiet, without talking, can rejuvenate your spirit. LET GO: Once you've had a chance to unwind, some old issues or problems that have been subconsciously nagging at you may surface. Take the time to let them go in a simple ceremony. Write them down on a sheet paper, appreciate them for the lessons they bring, then burn them. Cleanse yourself by burning some sage or incense afterward. GET IN TOUCH: Most of us spend our days in our minds, working out the thorny problems of daily life. Get back in touch with body and spirit. Invigorate your body by moving and stretching, taking brisk walks, or even taking a luxurious bath. Get back in touch with spirit by reading inspirational materials or listening to wonderful, soothing music. Think less and be more. START DOWN A MAGICAL PATH: Make a resolution that the coming year is the year you will start inviting magic into your life. Or if you already have a magical practice, recommit to it by resolving to perform an act of magic or daily ritual each and every day. We have ebooks, Kindle books, or our Everyday Magic Email Course that can help you keep this resolution easily. Or just pick a different article each day from our blog or website library to give you ideas of simple magical acts to do daily. Do you throw salt over your shoulder, knock on wood, avoid walking under ladders, or cover your mouth when you yawn? Do you believe in luck or fate? Or do you believe in your own ability to direct your own destiny? In today's society, when most of us are driven by our bosses, our families, our cell phones, or our responsibilities, most of us want to feel more powerful and more in control of our fate or destiny. Some of us work harder, others turn to superstition, and still others of us just sit back and hope for something better. So what is the key to directing our destiny? Believing in your ability to direct your own destiny rather than fate or luck. When you believe in fate or luck, it keeps you on the level of the Law of Accident, in which random things happen to you just because you happen to be at the right place at the right time (or the wrong place at the wrong time). If, however, you begin to focus on your ability to direct and create your own life, then it moves you up to the Law of Attraction, where your attention begins to attract people and events into your life. Whatever you put your attention on begins to come to you. But how can you move up the level of the Law of Attraction if you've never been there? In a sense, you have to develop a relationship with the future, or with events that haven't occurred yet, but which you are drawing to you by your attention. The Future is Not Set or Pre-Destined. If you believe in pre-destiny or a previously set future (from past lives or original sin, for instance), then divination won't help you. If you don't believe you can change the future, then having more knowledge won't help. Divinations of the Future Are Only Probabilities. Anything you read about the future is based on probabilities drawn from the present. If anything changes in the present, the future will also change. This is where you have you have the power to change the future-in the present. Whichever method of divination you choose to use, knowing what is possibly awaiting you in the future puts you in the driver's seat of your own destiny. Don't like what you see as a possible future? Simply make a small change in the present to create a bigger change in the future. Just one of the ways divination magic can help you create what you want in your life. The Firebowl is an essential altar item and magical tool for any magician or shaman. Used primarily to cleanse people, areas, sacred space and tools, the Firebowl can also be used for divination, finding lost people or objects, and meditation. Although almost any bowl will do for a Firebowl, most traditional Firebowls are made of brass, ceramic, cast-iron or hardwood. Except for special bowls used for specific rituals, the bowl should be light enough and small enough that you can carry it in your hand. To make a working Firebowl, put about two inches of fire clay (unscented cat litter will do), rice or beans in the bottom of the Firebowl to prevent the bowl from getting to hot. Put self-lighting mini-charcoal tablets on top of the fireclay, then add any resins or botanicals you want to burn. All Purpose: Sage, juniper, copal and frankincense. Air: Sandalwood, sage, mint and sweetgrass. Fire: Pine, juniper and frankincense. Water: Gardenia, lotus and rose. If you have difficulty quieting your mind during meditation, you can use the Firebowl. Simply light the charcoal tablet with paper or wooden matches until it starts to spark, then put a Water element botanical on top. When the combination begins to smoke, focus on the column of smoke. Having a visual focus that is irregular and difficult for your mind to follow will occupy your mind while you meditate. Good luck! Wands should be made from the limb of a live tree (with proper permission from and thanks to the tree) or recently fallen from a live tree, preferably of a light-colored wood, since Air colors are clear, white and sky blue. The limb should be between ¼ and 3/8 inch, and be no longer than from the bend of your elbow to the tip of your middle finger. Like most magical tools, your Wand should be "keyed" or personalized to your own energies. Keying aligns the flow of the Wand from base (notched end) to tip, and ensures that only you will be able to use it. If you're a beginning practitioner, the Wand is an excellent first tool, allowing you to practice the major techniques of sweeping, pulling, flowing and flaring without endangering yourself or others. The Athame, or magical knife, is one of the most powerful of the magician's tools. As a Fire tool, it has the characteristics that are most often attributed to the Wand in popular movies and TV shows, including blasting, fireballs, lightning bolts and shields. Just as the Wand could not possibly be a Fire tool since it is made of wood, the Athame must be a Fire tool since it's forged in Fire. In addition to Fire energy, the Athame can also handle some Water and Earth energies. That makes it one of the most versatile of the magician's tools. Most often used for self defense and shielding, the Athame is also a powerful healing tool. For instance, a skilled magician can use a beam of Fire energy from the Athame to seal or cauterize a wound that won't stop bleeding. This tool is also used to create full-cast circles, invoke deity beings during ritual and release psychic "ties" to other people. Athames should be made of high carbon, nickel alloy, or chrome alloy steel. In addition, it should have a full tang, which means that the steel goes all the way through handle, and not be a folding knife. Finally, beginners should start with a single-edged blade with a straight edge (it's harder to control Fire energy through a double-edged or curved blade). Like the Wand and other magical tools, the Athame should be "keyed" before use. Keying clears the tool of junky energies, aligns the energy to flow from handle to tip, and personalizes the Athame so that it is in tune with your own energies. Finally, you should store your Athame in a sheath or wrap it in a natural material such as cotton, wool, leather or silk. The Chalice is often called the magical tool of the Spirit, since the Chalice is the magical Water tool and Water is the language of the Spirit. Most often used for divination, psychic communication and blessings, the Chalice is also used for protection of sacred objects, self-defense and healing. The Chalice is associated with the West, and is the tool of feeling, emotion and connection. Goblet-shaped chalices work best, and should have a bowl that is large enough to store small magical objects (storing objects in your keyed chalice keeps them clear of unwanted energies). Chalices should be made of a single material, such as glass, ceramic, silver, pewter or copper. With the Chalice, as with all magical tools, you need to consider the characteristics of the element you're working with to determine what materials will work. Wood chalices, for instance, don't work well because wood doesn't flow Water energies well. To work with your Chalice, you'll need some additional items, such as spring water (don't use chlorinated water, which has some unhealthy energies), rock or sea salt (don't use iodized salts) and an all natural material in which you can wrap your Chalice. For the most effective use, you'll also want to "key" your Chalice to personalize it to your own energies and set the Chalice energies rotating in the correct clockwise direction. The Plate, also known in magical circles as the Shield or Pantacle, is the magical tool of the element Earth. Associated with the direction North, the plate is primarily a tool of protection and healing. Magicians and shamans often use the Plate to protect magical operations, such as divination or spellwork, from outside interference. Plates are also useful for storing magical objects you want to protect, similar to the chalice, and for self protection. Ideally, Plates should be round in shape to produce the strongest energy vortex and beam, and should be of earth-colored material, which include greens, browns and blacks, or have plant-based designs on them. Ceramic, wood or porcelain Plates work well, as do metal and glass Plates. Avoid Plates that are too heavily carved with designs or patterns, since this can interfere with the Plate's energy flow and pattern. To key or personalize your Plate for magical use, you'll need rock salt, non-chlorinated water and a pure cotton cloth. You'll also need a Firebowl and a spare Chalice. Keying ensures that the energy in your Plate flows in the appropriate direction for protection, healing and spellwork. A little known fact about the Plate is that it is an important tool for simulacra or "voodoo" type magic. In addition, the Plate is also a "broadcaster," meaning that you can use it to broadcast certain energies into your environment. If you are interested in expanding your magical "reach", then using magical tools will help you do that. You can find ebooks for each tool separately on our website, or just get some specific ways to use magical tools with our Kindle book, Learn How to Do Witchcraft Rituals and Spells with Magical Tools.